So last weekend had my first two fresh hop beers of the season. For those of you who don't know, fresh hop beers are made with wet, undried hops, they are usually picked and then brewed with all in the same day. The first beer was a fresh hop hop Sterling Pub draught from Burnside Brewing. The 4% abv beer was a nitro pour and was an English Style pub draught (hence the nitro pour) beer with 130lbs of sterling hops. Was really tasty. The next day the family and I met up with my brother and his girlfriend at Breakside Brewing. 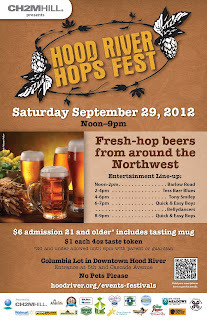 I had the "Wet Hop Simcoe IPA, one of the best fresh hop beers I have ever had. The beer was 5.9 abv and they used Simcoe hops fresh from Yakima. 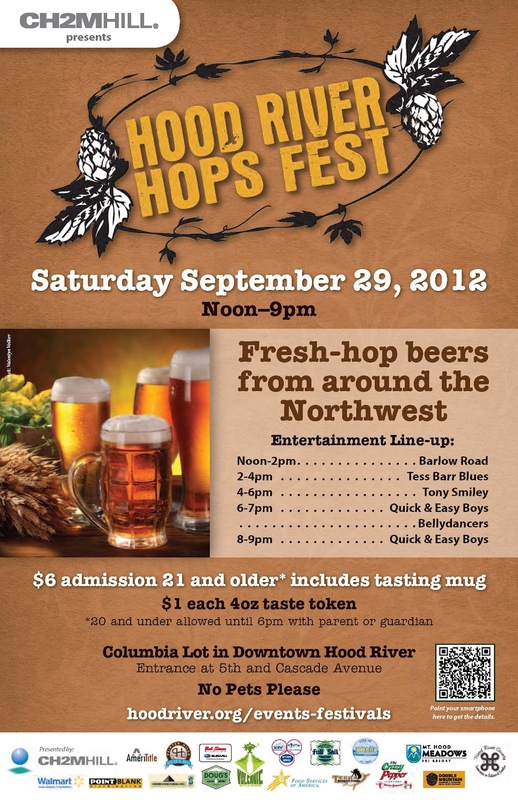 Hope to get back and have more of it..
Hopefully I can get out quickly to more breweries and get some more Fresh Hop beers as you really want to try the beer at as soon as its tapped as the fresh hop beers are meant to be consumed asap....either way I'm planning on hitting the 2012 Hood River hops fest next weekend on Sept 29th and will get plenty of fresh hop beer tastes....Check out the New School Beer blog as he put together an amazing beer list for the festival.